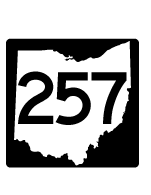 Just before the 4th of July holiday, the Ohio Department of Transportation (ODOT) will make safety improvements to the SR 257 roundabout at Home Road. 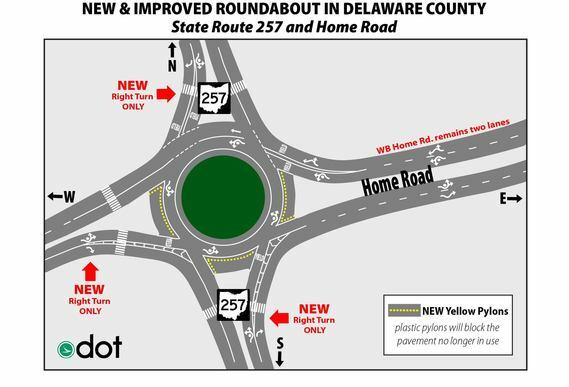 Once the work is complete, instead of two-lanes, the roundabout will have only one circulating lane. Yellow pylons will be installed to block the sections of pavement no longer in use (final configuration shown below). Westbound traffic on Home Road will still have two lanes to turn or continue through the intersection. The contractor will make the changes Monday and Tuesday, July 2 and 3. 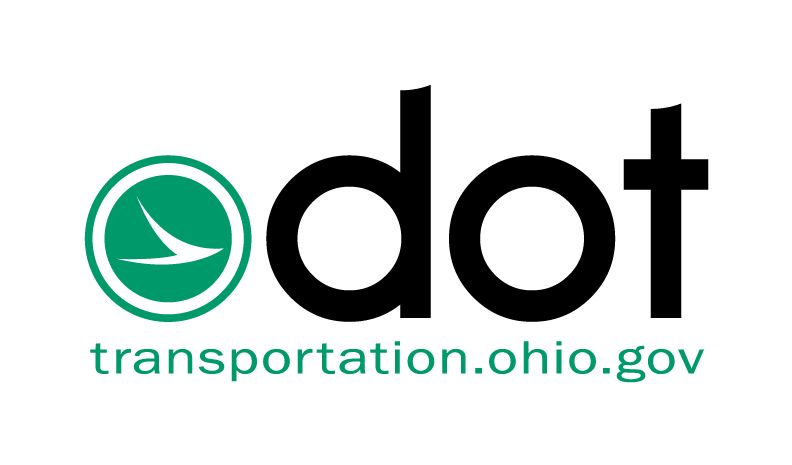 Lanes will be restricted from 9 AM to 3 PM Monday and 9 AM to noon on Tuesday. By Tuesday, July 3 at noon, this new permanent traffic pattern will be in effect.